Presidential debate season is upon us—and nobody is happier than media pundits. Given a license to speculate, the talking heads will prognosticate from now until the final debate ends. But the debates are about more than who wins and who loses. In a campaign season marked by a lack of specificity, the debates provide the best view yet of the plans each candidate has for dealing with a slew of very real issues. The First Amendment Center at the Newseum recently hosted a panel entitled, “Beyond Wins & Losses: a Citizen’s Guide to the 2012 Presidential Debates.” The team of panelists offered a few tips for how you can watch the debates—and avoid fixating on the most trivial elements of the contest. Yes, those friends. Invite them over. Set some ground rules on civility (no punching, bottling, or biting) and invite people of differing political views to watch the debates. Don’t experience the debates with only those who agree with you—you’ll get more from the experience by discussing what you’ve just seen and heard with people who have a different perspective. Conventional wisdom holds that those who listened to the Kennedy-Nixon debate felt Nixon came out on top while those who watched on TV felt Kennedy was the victor—in part because Kennedy looked better. Since the very first televised debate, the body language of each candidate has played an increasingly bigger role. Instead of focusing on superficial visual details, try listening to the debates on the radio. When the debate is over, turn it off. Make up your own mind about who was best before being sucked into the spin, consensus, and “narrative” building that occurs in the post-debate analysis on TV. If you were crazy enough to invite your partisan friends over, discuss it after you’ve taken a few minutes to process your own thoughts. 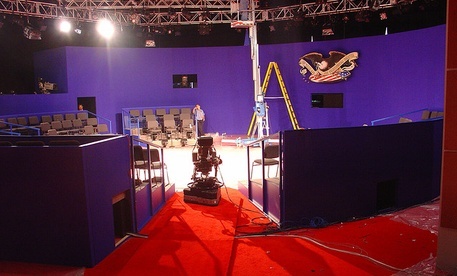 How are you planning to watch the debates? Previous Post | What is All This Talk About Innovation?